This is the web trend map. 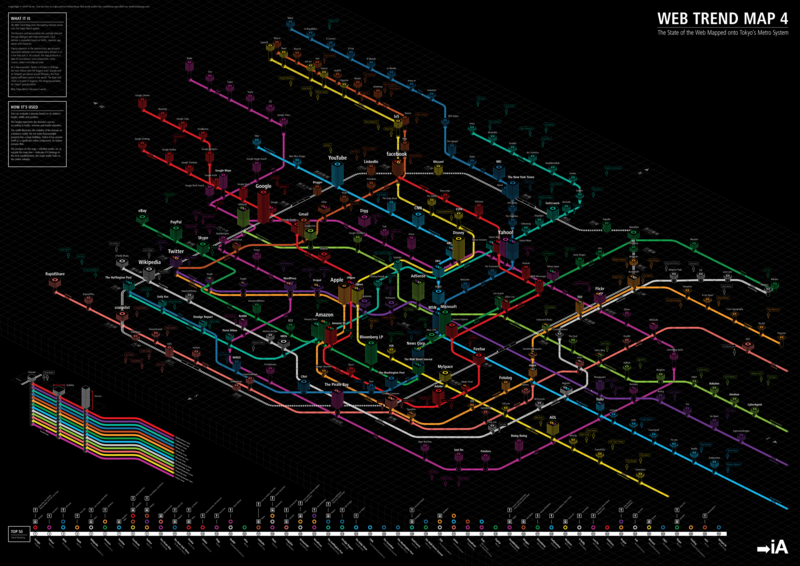 Its mapped the most popular internet websites on the tokyo metro system. They group each website on a line that suite it. Such as Twitter is on the the Shibuya train station (the one with the biggest buzz). The 2011 web trend map will be out soon. (click image to view full map). Check http://www.webtrendmap.com for more details. I have been following this site since the very beginning, and for the first time since launch, it has had a brand new lick of paint! Check out Best Web Gallery’s new design. Know of any other popular design gallery sites you like? Feel free top drop us a comment and let us know. Web Designers: 700+ Free Vector Based Photoshop Mono Icons! Icons can be quite hard to find, especially plain and simple vector mono icons which you can style and size yourself. IconSweets2 is a really cool icon set comprising of over 400+ icons both in 64×64 and 32×32 sizes, and 292 16×16 icons, all created as vector Photoshop shapes. Also there is original IconSweets, which contain 60 vector photoshop shape icons. Enjoy! For all fans of eleven2. Here is a wallpaper you can download to support us. We have many more wallpaper’s on the way, and may even launch a wallpaper / press & graphics gallery on the site containing all our logos, desktop wallpapers etc. This wallpaper is currently only available in 1280px x 800px resolution, but larger wallpapers are to follow. So it’s the start of a new month and smashing magazine always do their desktop wallpapers for the month compilation. 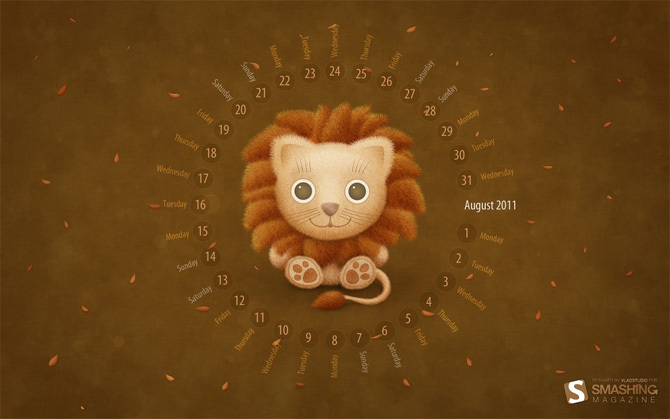 One I really liked for this month was the lion one (as you can see abouve). Seeing as Mac OS X Lion was released a few weeks back I thourght it would be a great one to share. So I got a beta invite to Googles new social network (google plus) and I thought I would share a quick freebie with you. Here are a few Google Plus social network icons in both PSD and PNG formats. The icons are in more a less all standard pixel sizes, both large and small so use them wherever you want! Welcome to the first monthly series of Divine Design. At eleven2, design is so important to us. Everything has to be 100% perfect, or we won’t publish it. We want people to be blown away when they browse our site, so thats why we can sometimes spend days to way over a week on a single design. So every month, we are compiling a small showcase of what we think looks super good! Let us know if you have any sites you think look really juicy to add to next months showcase, but in the meantime, enjoy! 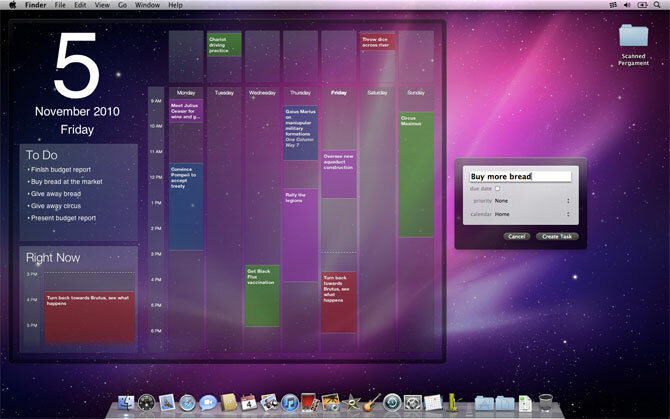 Blotter is a super cool mac os x calendar that places itself on your desktop, so you will never forget that important meeting, or lunch with the family again. It uses literally no memory and processing power, and is available on the Mac App Store for only $9.99. Gaming websites see spike in traffic as game sales increase! Gaming websites have seen an unexpected spike in traffic due to higher than normal game sales. Although gaming publishers make the best portion of their annual earnings in the holiday season, Electronic Arts have enjoyed an exceptionally profitable period from January to March. It was reported by the company that its net income in the quarter amounted to $151 million with over $1.09 billion in revenue. These figures are a considerable increase from the $30 million in income and $979 million in revenue earned by the company in the same quarter a year ago. It was announced by Sony yesterday that it is ready to answer the detailed list of questions which a US Congressional subcommittee investigating the PlayStation Network outage and data leak presented to the company. Sony came forward with its answers today providing a detailed timeline of the events that took place concerning the breach of data and the resultant downtime which occurred because of the cyber-attack. Unfortunately for PSN members, the answer provided by the company reveals the worst case scenario that everyone feared, confirming that data has been stolen from all of the 77 million PSN and Qriocity accounts. Kaz Hirai, the Sony Corp. executive vice president and Sony Computer Entertainment America chairman, has in a letter addressed to the subcommittee offered the detailed sequence of events as they happened. According to the message, it all started with the employees of Sony Network Entertainment America noticing unscheduled rebooting of certain systems at 4:15 p.m. PDT on the 19th of April. 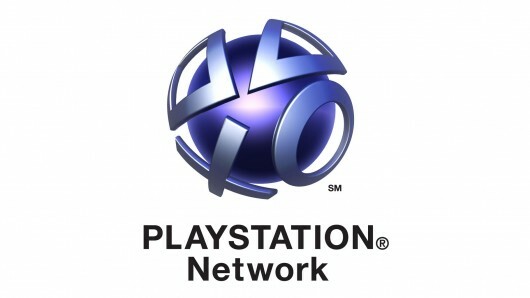 They noticed the following day that the evidence pointed to an unauthorized intrusion and that PSN data had been transferred off the network without authorization. However, the employees of SNEA couldn’t identify the specific type of information that had been taken, thus as a precaution they took down the PSN. Sony has publicly announced that personal information, which could possibly include credit card data, had been compromised. The letter from Hirai then confirmed that there had been some data theft from all of the 77 million users. The consolation offered by Hirai has been that the cause of the data breach has been identified. However, due to security reasons, the company does not want to make the information public. It has been said that steps have been taken to further increase the security of the network and its data.